Women's Lounge Pants Just $12! Down From $24! Shipped! You are here: Home / Great Deals / Women’s Lounge Pants Just $12! Down From $24! Shipped! Women’s Lounge Pants Just $12! Down From $24! Shipped! Head over to Proozy where you can get these Women’s Plush Lounge Pants for just $12 down from $24 when you use promo code PZY12 at checkout PLUS FREE shipping! These women’s casual pants feature bright colors and were made for lounging around the house. 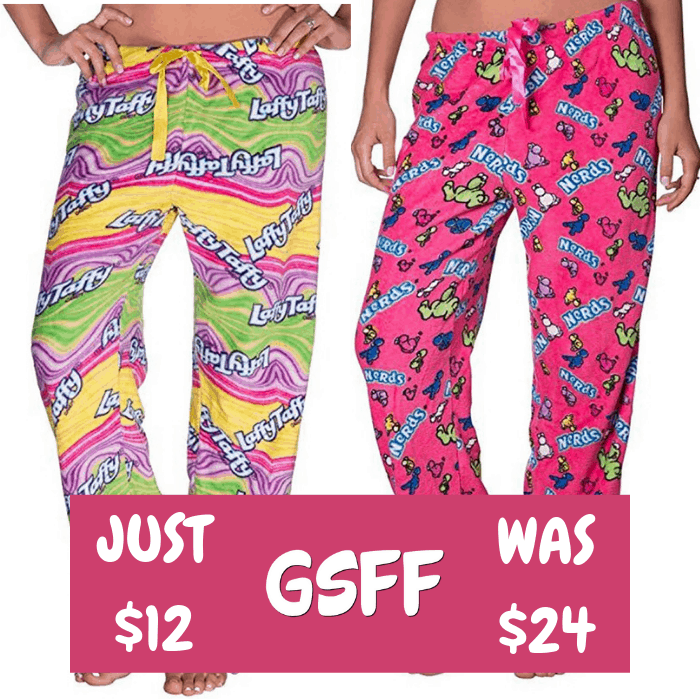 Cozy up in style with candy-themed, relaxed fit women’s lounge sleep pants. Made with soft 100-percent polyester and your favorite Nestle candy pattern, a matching drawstring with an elastic waist band ensures the perfect fit. Luxurious plush material to keep you warm & Extra Cozy.